This week, I’ve had the great opportunity to participate and attend events after events, everyday for the last 4 days. It’s been overwhelming to say the least. There are so many things to be thankful for. I can hardly wait to share them all with you. The next day, my wife and I were off to Solaire Resort for our company’s 2016 recognition dinner. It was an enjoyable experience having a sit-down dinner and being with top leaders and executives in the company. We were recognized as *-Million Peso Achievers for 2nd year in a row along with 100+ other business leaders. One of the greatest feelings I’ve experienced is in seeing those I’ve mentored get up the stage to receive their own *-Million Peso Achiever trophies as well. I’m so proud of them. 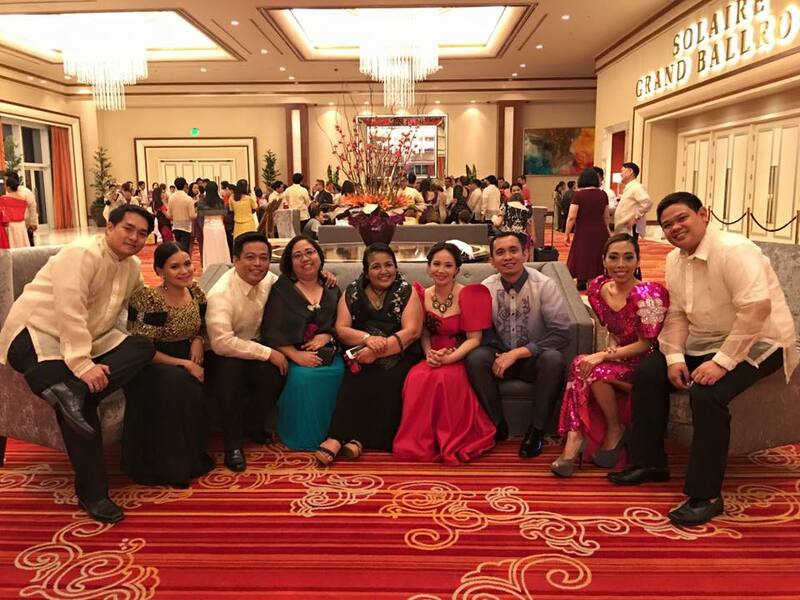 Here’s a picture of us together enjoying at the ballroom lobby after the event. After that, my wife along with hundreds of the top leaders in our company had the chance to get up close and personal with Dr. Denis Waitley, a famour motivational speaker to world class athletes and astronauts from NASA. He’s a hall of famer in the world of publick speaking and personal achievement. He stood on the same stage with other motivational speakers like Zig Ziglar, Jim Rohn, and other top speakers in the world. He’s 83 years old but he’s full of vitality just like a 38 year old. 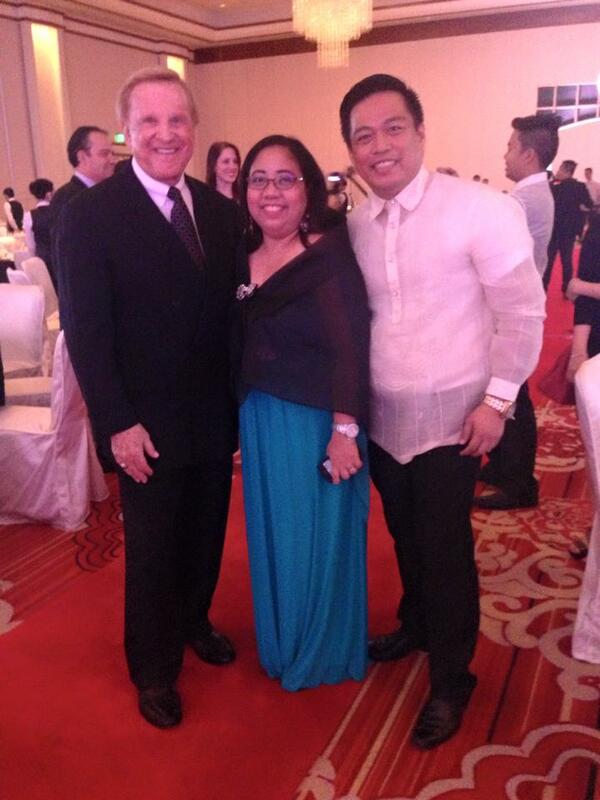 He is bestfriends with the founder of our company, Dr Myron Wentz, an Albert Einstein awardee for Life Sciences. They’ve been friends for 20+ years. It’s refreshing to hear personal stories and get a glimpse on the life of accomplished leaders int their fields just like them. It gave me an opportunity to discern what’s really important in life. It’s not so much about the financial blessings or material things, but on how you used those to help other people and make their lives better. It also made me realize to be grateful for the everyday blessings. Yesterday was the grandest event I’ve attended all week. 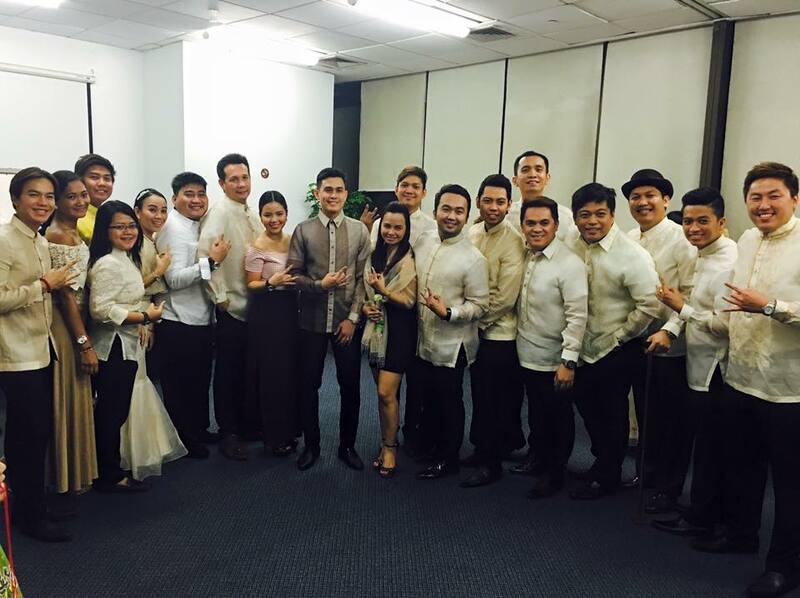 It was our company’s Grand Celebration at Araneta Coliseum. It was an amazing experience to see so many DREAMERS from different provinces of the Philippines coming alive! There was so much ENERGY from start to finish. It was exhilirating to CHEER for my teamates as they receive their awards on stage, especially those people who I’ve got a chance to mentor directly or indirectly. Another close friend and co-mentor in our team was given the opportunity to share his inspiring story. He’s once of the very first people who trusted me in business. We met 5 years ago through our real-estate investing circle. One of the most humble and down-to-earth person I know. He’s grown so much in character, leadership and business skills. He has achieved financial success, time freedom to choose his own working hours, and the opportunity to create a loving family. He’s a father with 2 kids and another one coming soon. He was a former IT consultant just like me, having worked for 11 years in his former company. He has already accomplished so much earning for himself a 6-figure income every month from his IT career. But because he dreams of a better life for his family in terms of MONEY, TIME and HEALTH, he still seeked better opportunities. His entrepreneurial journey started when he was opened to the idea of financial literacy through the book Rich Dad, Poor Dad by Robert Kiyosaki. He was already investing in the stock market as well as mutual funds, and in some businesses but a tragedy happend more than 5 years ago. He lost a great deal of money (in the 7-figure range), after investing in a friend’s business, who unfortunately took the money and ran away with it. It was a painful lesson that saw his dreams came crashing down. I didn’t know what he was going through at that time, but because he was one person I looked up to, I approached him to do business with me. He grabbed the opportunity right away and the rest, as they say, is history. He was able to finally pay off his debts and live financially free. More than that, his business took off and he was able to resign from his IT career after 2 years doing the business part-time. He became a 3x- recipient of all-expense-paid Asian Cruise travels, and *-Million Peso Achievers for 3 years in a row. I’m proud of his accomplishments, but I am more proud of what kind of a leader and person he is becoming, more humble and down-to-earth as he becomes more successful. He has influenced so many people in different countries like Singapore, Japan, Canada and the Philippines. The good news is, he keeps growing as a person, that’s why his business continues to grow as well. 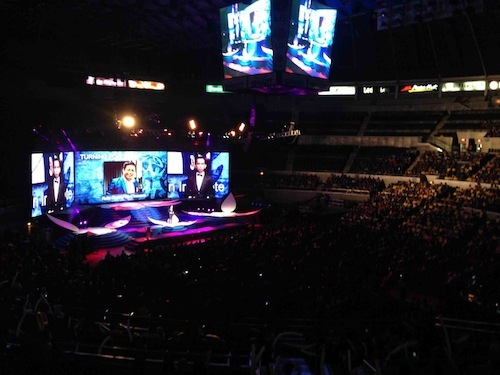 Here’s a picture of him sharing his story in Araneta with my picture on the big screen. It humbles me to be given credit to his life turning around, but I understand that I was merely an instrument to show the way. Ultimately, he is responsible for the success he is enjoying right now. Today, I had the time to sit down and make sense of all the things that have happened the past few days. There are so many lessons to be learned, things to enjoy and a bright future to look forward to. Let me share you a few things I realized. From all the stories I’ve heard, one thing I learned is to appreciate every moment with your loved ones. Enjoy. Have fun. Live in the moment. Often times, I see people taking a video of the event, instead of BEING in the event. Sometimes, having gadgets with you takes the joy away of being fully in the moment. Absorb the energy and be fully immersed into the experience. Attending events gives you the opportunity to expand your world. We all have different experiences in life. The magic of attending events is in having a single moment pass by, but with different perspectives we experience different moments as well in our lives. It’s a different feeling cheering for your teammates compared to being the one going to the stage and people cheering you on. It’s also different from seeing those you mentored go up the stage themselves. As I look back in my life, the moments of GROWTH happened when I opened myself to new ideas and experiences. When I was growing up in Ilocos, I used to think that majority of Filipinos are Ilocanos. That changed when I went to Manila and attended university. 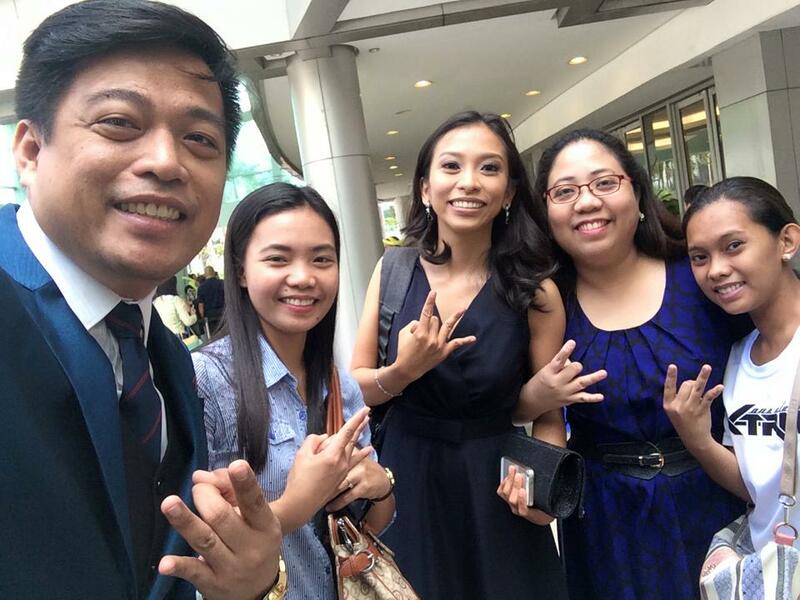 There I met other fellow students from different provinces in Visayas and Mindanao. I realized life is bigger than what I previously thought. When I started working, my world began to expand again as I got exposed to the corporate world. After my 6-month stint in the US for my former company, I was exposed to cultures from different countries. When I came back, something changed and the yearning to create a better life has been sparked inside of me. I knew then that if other people can do it, we Filipinos can also do it. I went abroad again and gained valuable experiences working with different cultures. When I came back, a new world again opened up for me — the world of business. That was more than 5 years ago. It’s true what most people say, that the life you have right now is the result of the decisions you made 5 years ago. If you want to CHANGE YOUR LIFE, the best time to make better choices is NOW, so that 5 years in the future, you will reap the harvest you have planted today. Today I leave with you with this quote from Oliver Wendell Holmes Jr. He said, "a mind that is stretched by a new experience can never go back to its old dimensions." My hope is that as you expand your horizons to achieve bigger and better things in life, you don’t lose sight of the most important things: remaining humble, being grateful, and enjoying the blessings and using them to help other people to glorify the source of those blessings, the one who delights in all things that is good, our God almighty. Cheers to your success! P.S. I’m currently expanding my business and just opened my newest business center. I’m looking for people to train and develop as new directors for my new project team. This is not a job offer, so if you are looking for a job please DO NOT apply. This is an offer to build a business together. You will be mentored personally by me, a Ruby Director of our 23-year old NYSE-listed company, along with other leaders of our team. This is a serious opportunity for those people who have been working for so long only to have their DREAMS get crushed by too much stress or boredom from a stagnant career. If you are earning in your career but would like to start something on the side to LEARN first hand how to build a business, then I can work with you. If you are tired of reading books or blogs about money, or attending seminars with nothing to show for it, and now want to take your FINANCIAL JOURNEY to the NEXT LEVEL, then I can work with you. If you have already saved for emergency fund, invested in stocks or mutual funds, but you would like earn more by learning how to build a business, then I can work with you. Most of the people I work with are couples who dreamt of working abroad, or who have worked abroad before. They are AMBITIOUS and know how to WORK HARD. They have worked long enough in their career to understand that they can NEVER get their dreams working for someone else. If you are HUNGRY FOR CHANGE, let’s connect. Send me a message through my Facebook page at http://www.facebook.com/allaninocente111 or click here to ontact me. I can only work with 10 people this month of March. This message gets sent out to thousands of subscribers of this blog and my Facebook page, as well as my 5,000 friends in my personal facebook account. If you don’t receive a reply from me in 24 to 48 hours, please re-send your message. Thank you.